Red earth; smoggy sky; a bridge from past to future: Auroville calls herself The Future of the World. The mojo that sustains her is karma through the Yoga of Labor, where "true spirituality lies in the service of divine work." Holistic, counter-cultural, she aims to serve as a model for sustainable development, offering an alternative vision to the patriarchal systems that, unless re-designed, are bound to catastrophically fail us. Subsequently, in The Alchemist, Paulo Coelho writes about the pursuit of something he calls your "personal legend". As alchemists seek to transform base metals into gold, it is not the end product but, in fact, the act of following a higher calling where human beings attain spiritual purification. In Auroville, citizens are called to work—but not under the standard western paradigm. They honor the Indic philosophy that one must follow his or her dharma, or true calling, in order to be of service to the divine and to all of humanity. In Aurovillian spirit, I found myself there to work, finishing up a final course for my master's degree and an internship in global communications. After touring and learning about several dozen of the community's non-governmental organizations (NGOs), the next step was to pair with an NGO to intern. On a particular sunny Auroville morning, I did not choose my organization for it having chosen me. Upcycling Studio Auroville. It was the first NGO visit of the morning when I had received a message from my half-sister that her mom had been diagnosed with stage-four cancer—and only two weeks to live. Oddly similar to my own mother's death almost two years ago to the day, a familiar feeling sank in my gut, deep into the red Aurvillian dirt. In that moment, it was not so much that I held her in an empathetic yet separate understanding, as it was for our becoming one. I felt her loss as my own. The other students flooded into the Upcycling room for the presentation. I stepped back to catch my breath. By the time I pulled myself together enough to enter the studio, Ok, one of the designers and founders Upcycling, was explaining what it is that they do: take waste and transform it into works of art and everyday functional pieces. The materials reincarnate; dead matter has life again. She held up a black glittery bag, upcycled out of film from discarded cassette tapes; it had two identical characters on it in a language I did not recognize. “In Korean, this is the symbol for happiness. Two means double happiness,” she chuckled. Happiness...HAP.PI.NESS. Suddenly, the symbols on the bag morphed from foreign characters I didn't recognize into some deep universal understanding: man's—woman's—quest for meaning in life. You see, in that moment I knew I would work with Upcycling. The story behind the organization resonated with my own of loss, transformation and rebirth. It was two years ago while staring at the abstract patterns on the hospital floor before my mom's passing that I thought, "I guess I'll go after my dreams in life because I suppose we all die in the end anyway." Unhappy with my corporate, capitalist job in finance; like many others, I felt empty in a system that valued a dollar over a life. I was disillusioned with the wind and grind of an ideology I could not buy into—aghast at the thought of spending the next 40 years of my life in the same box, doing the same unfulfilling thing. Day in. Day out. I often found myself asking on many an occasion: Is this all there is to life? She establishes four pillars for leading a more meaningful life: a sense of belonging, where you matter to others, and others matter to you; purpose, or the pursuit of something worthwhile which involves contributions to others; transcendence, often a characteristic of religion, but not necessarily, a higher experience of self where you are lifted above the monotony of everyday life; and storytelling, your personal myth, your Hero’s Journey, and ultimately the narrative you tell to yourself and about yourself. For me that meant redesigning my life: to pursue work that answers a higher calling; to find belonging in community; to craft my own narrative and life-story. Flash forward two Christmases later; I moved from a place of grievance and despair in Memphis, Tennessee (ironically, being the home of the Blues) to working with other artists and innovative, progressive thinkers in Auroville, India. I left finance to reconnect with my literary and storytelling roots, pursuing scholarship that would allow me to transition into retelling other's stories in engaging and purposeful ways. Having a love for the written word, I also began to become intrigued by communication through the visual, through audio, through the audiovisual of filmmaking—design literacy through all mediums. How you can move people and change destinies with compelling storytelling and ultimately the power of design. The stars aligned. It just so happened Upcycling needed what I was looking to provide: design work and storytelling. In particular, a catalog for co-founder and French designer Marc Barandard, where I could tell the artist’s and NGO’s story through visuals and content writing. And so the journey with Upcycling began. I sat down with Upcycling co-founder Marc Barandard for an interview. And here's what he had to say (interview edited for compression). Marissia: What brought you to Auroville? Why did you leave France and come here? Marc: I was at the stage in my life where everything was fine—I had a nice apartment, nice family, job—but I couldn’t really understand why I was doing all the work, for who? I was always thinking I could serve a cause, a bit of a chevalier blanc. But…when I came here [Auroville] I could feel a lot of liberty, freedom. Here you are supposed to work on a community level but also discovering who you are. To have this freedom makes things happen faster. Also to have goodwill—to serve a community makes more sense than to serve the state. My mother is German, my father is French, so when people ask me where are you from? I am from Europe—not from France or Germany. I don’t like these boundaries. For me, we are humans; we have one state and it’s Earth. That’s it. Marissia: I like that. Citoyen du monde. It sounds like you were unfulfilled in your work that you were doing in France and that you found more meaning in coming to Auroville. Would you say that? Marc: Yes, and also in my work in design in the West where copyright is very important, where you are forced to produce because you have made a beautiful chair but next year we need a new chair. But this one was good, no? Yeah, but forget it, we need more, more, more growth—croissance. I don’t believe anymore in this. Not only that but I am fighting against this. We have to reduce our consumption. This is the only way. I will not find a solution for all the waste we have. We have to reduce waste and to reduce waste we have to reduce our consumption. I have a friend that says we must focus on voluntary simplicity. Marissia: How did you start Upcyling? When you came to Auroville? Marc: No, in fact I was doing it before as a furniture designer. I was always taking cardboard and working with it because it’s light and a good material and masters have shown us you can do beautiful things. You follow them and after you discover your own story and do your own design. But everything is related, no? Then it clicked. In a flash of clairvoyance, I realized of whom Marc and Upcycling reminded me: The Alchemist. 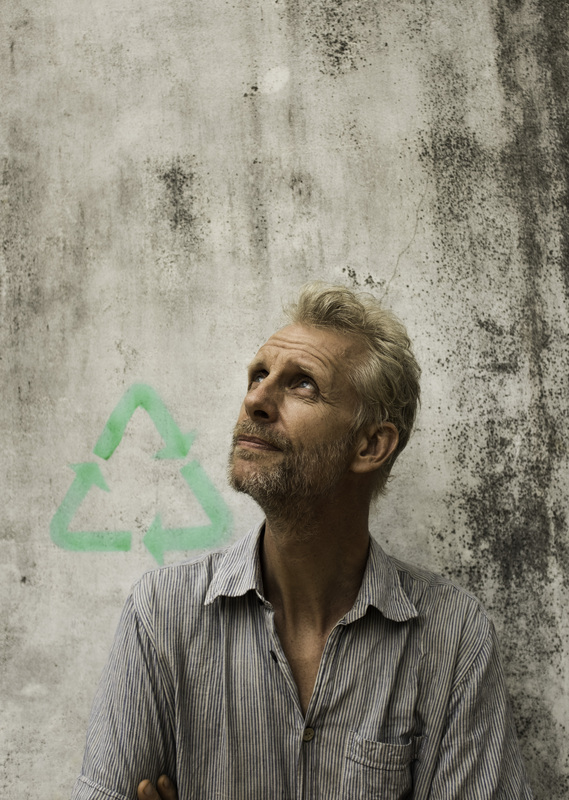 Marc's rejection of a meaningless life designing for capitalist consumption in the West led him to pursue one of sustainable design in Auroville. Though it may seem like a gross exaggeration, therein lies a gold nugget of value in the metaphor of what Upcycling does: transforming trash into something of use, of beauty, of value; combating the greater global issue of waste and consumption. I share my story, and that of Upcycling in order to tell ours—that of the planet. You, me—we, too—can be alchemists, and through the power of design, we can transform the global narrative from one of destruction to have new life and meaning. The big five global challenges we face are climate change, human displacement, political instability, food scarcity, and poverty. As all five are beyond the scope of this article, my focus will be on the environmental crisis and how imperative good design addresses this wicked problem. Twelve years. The United Nations warned that we have twelve years before we breach a CO2 axis—or as I like to call it, "The Point of No Return". This means that despite what effort is made after the fact to reverse climate change, essentially it will be to no avail. The climate will spiral wildly out of control, and the ecosystems as we know them—that we depend on—will definitively break down. At this point, if then, will humanity finally realize that we cannot eat money? It’s easy to assume a cynical attitude and sit-back while the scientists and ‘those in charge’ figure it out but frankly, as Marc stated in his interview, it's up to all of us. We are all drops in the water. Waiting for technological advances to save us, while they may have a lot of promise, there isn't the time. Waiting for policy makers? There isn't the time. Waiting for our wasteful habits to breed out through education and reform? There isn't the time. "Now's The Time," legendary jazz musician Charlie Parker composed, and we are all improvisers in this mad jig of life. Let's look to people in our global communities who are already introducing simple, re-creatable design solutions. In the interview, Marc at Upcycling, for example, is addressing the problem of plastic water bottle waste that is harmful not only to our health but also to the planet. 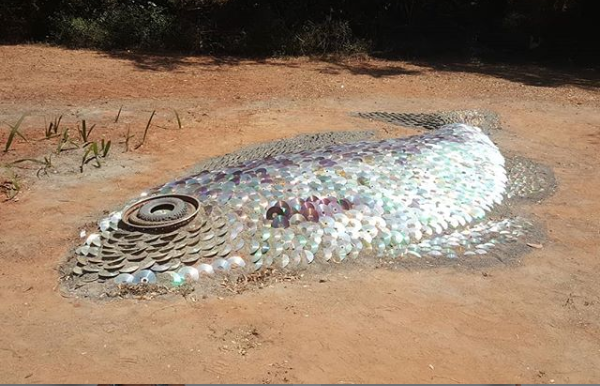 His partner Ok created an art installation using discarded, no longer usable CDs to reconstruct a large land-bestrewn fish. She conceived the expo inspired by studies released stating there will be more plastic in the sea than fish. It serves as a visual omen: our wasteful ways will soon replace our animals, our food, even us. The design of art creates awareness; the design of sustainable products and practices creates solutions. We see how the structural organization of the physicality of place is evocative of our relationship with it and in it. To quote theorist Marshall McLuhan, "One thing about which fish know exactly nothing is water, since they have no anti-environment which would enable them to perceive the element they live in." Design is all around us. We are often oblivious to it, like the fish, because it is the element of which we have always known, but of which we are not conscious. Good design, therefore, becomes critical to a sustainable future. Tony Fry & Clive Dilnot’s write in their collaborative work Manifesto for Redirective Design (Replay): Hot Debate, “The imperative of sustainment begs that the very nature of design and technology and thinking (and, in effect, human beings) are changed—conceptually, practically, socially and symbolically. It is acknowledged that this call presents truly enormous problems of transformation for the status quo.” Design goes beyond calculations or drawings, it is the very structure of environments in which we function whether they be physical, social, or otherwise. It takes a shrewd eye and critical mind to detach oneself from what one has always known and to question it. Whether it's changing out a plastic water bottle for a glass one, rethinking your life's path, or questioning the structure of the labor system—that is practicing design thinking. It challenges assumptions that have no meaning or even damage, as in the environmental crisis. But it is a way of questioning that transcends all domains—art, social, political, environmental and otherwise—that, even in the smallest of instances, can transform that which no longer has any value into that which is as priceless as gold. Up-cycled plastic is salvaged to create an eco-friendly water bottle—one that is safe for the body and the planet. For this product, Spouts from plastic water bottles are melted down with an industrial blow dryer and sealed inside the opening of the glass bottles. 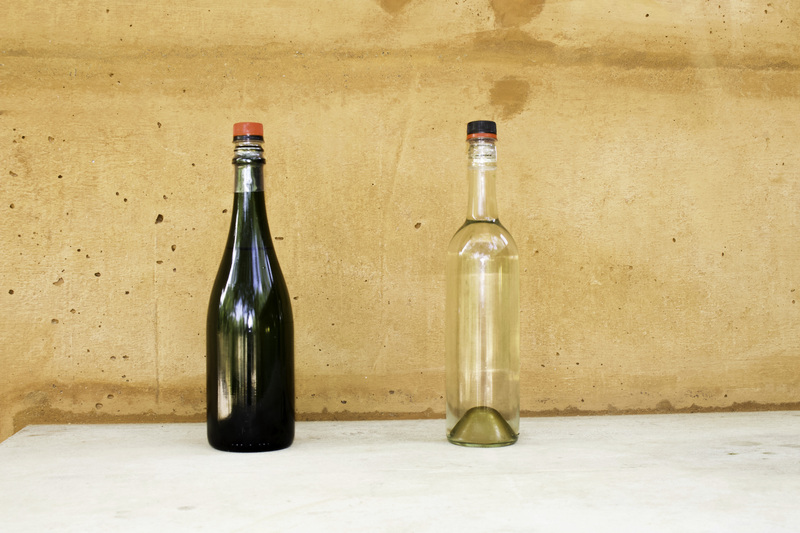 This process makes the glass bottle not only water-proof but user-friendly—it can be used and re-used instead of discarded after a one-time use. Hi-tech meets low-tech when simple cardboard is transformed to serve as a cell phone charging station, holder, and lamp, among other possibilities. The re-envisioned purposes for everyday materials show how creativity and minimalism create sustainable products. Art and nature intertwine. Instead of industrial materials and chemicals to create fun works of art, sticky seeds act like Velcro to the cloth. Users can make and re-make endless portraits in the theme of impermanence. A tribute to Italian creator Bruno Munari, the design of the ashtray is evocative of the Futurist movement with an air of Cubism. The tactile and kinesthetic methods allow child’s play to become the art of upcylcing in this fun and modern piece. The Three Leg Chair takes the notion of simplicity and minimalism even further. Instead of the standard four leg chair, three legs are equally durable and require less materials. The paradigm of what furniture should be poses the question of what furniture could be. When cups and bowls get cracks, they can no longer properly hold liquid and are often discarded. The idea behind this product transforms the original use. The cup or bowl are no longer worthless because of a flaw, but by upcycling the objects take on new life and new possibilities. In this case, the cup-bowl become a quirky container or holder for various items. In the same fashion as the Tetra Box Chair, the Tetra Box Stools can be assembled with readily available materials of discarded cartons, paper and glue. 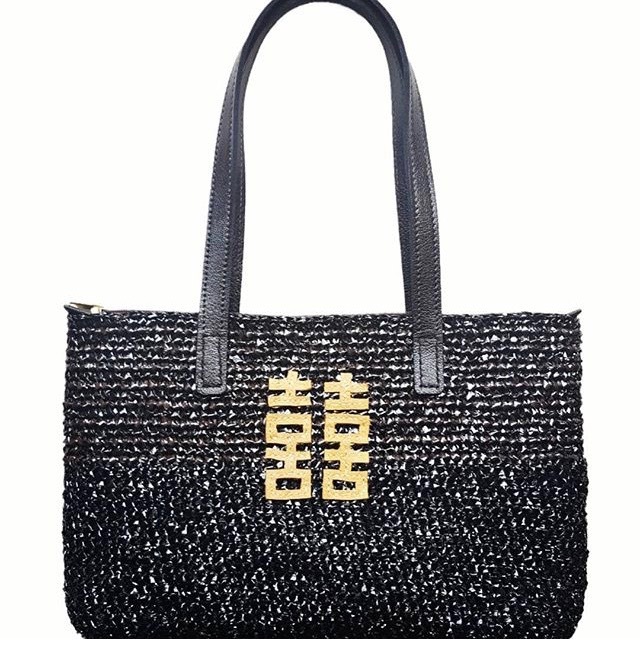 The product embodies the principles of Upcycling philosophy: reduce, reuse, upcycle. The miniature model pays homage to Dutch furniture designer and artist Gerrit Rietveld’s 1939 rendering of a life-size armchair. This work is part of the D.I.Y. (do it yourself) line to teach users how to make their own products with simple instructions and mini-models. The real-life version of the the D.I.Y Miniature Chair, the maker brings to life a functional piece of furniture with up-cycled tetra juice boxes and the process of paper maché. Durable and original, the Tetra Box Chair can be easily assembled by following the instructions of the D.I.Y. Miniature Chair model. Marissia is a Global Communications Masters student at the American University of Paris. She holds an undergrad degree in Literature and Foreign Language and enjoys conversing with people in English, Spanish, French and a little Italian. Having lived in and out of Europe for three years, she now calls Paris home, where there is never a lack of a rainy day for reading, or a tasty Pain Au Chocolat.